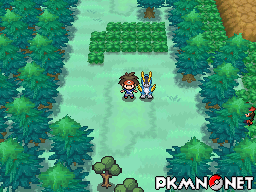 You'll initially meet Cobalion on Route 6 (Unova) where it will quickly run off. 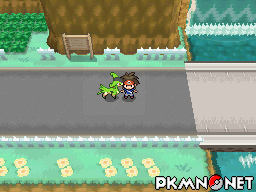 After that it will wait on Route 13 (Unova) for you to go and capture. Defeating it will cause it to appear at the same spot again after beating the Elite Four. 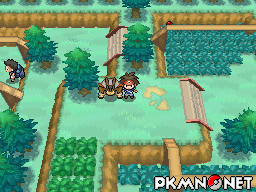 Terrakion is waiting for you on Route 22 (Unova). Yeah. It really is just as easy as that. Defeating it will cause it to appear at the same spot again after beating the Elite Four. 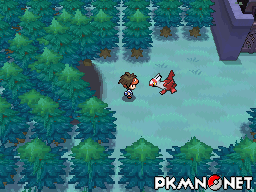 Virizion is waiting for you on Route 11 (Unova). No, they're not very good at hiding this time are they? 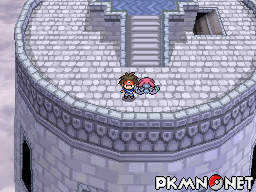 After defeating the Elite Four head to N's Castle and you'll find N. Defeat him in battle and he'll give you a stone to take to Dragonspiral Tower. 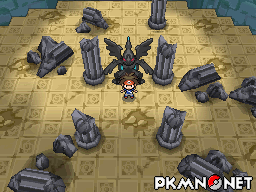 There you will face Zekrom in Black 2 and ??? in White 2. 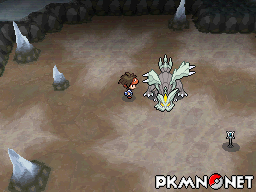 After capturing Reshiram or Zekrom head over to the Giant Chasm where Kyurem will now be available for capture. It'll even leave behind the ??? after you capture it so that you can change its form. How sweet. There are some Underground Ruins accessed through the Clay Tunnel. If you visit in night and in day the puzzle will be revealed to you. Head to the centre of the chamber, move 6 steps southwards, 9 steps eastwards and then press the invisible switch to the south of you. 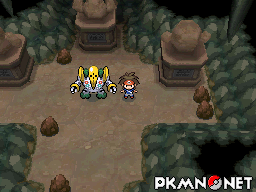 Regirock will then appear. 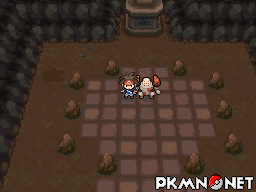 After capturing Regirock you'll be given a special Unova Link Key. In Black 2 you'll receive the Steel Key and in White 2 the Iceburg Key. 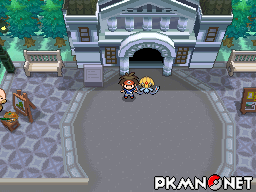 Activating your key on Unova Link will make Registeel or Regice appear respectively in the same location as Regirock appeared. You can then swap the keys on Unova Link with a friend who has the opposite game, thus unlocking both Pokémon on your game. 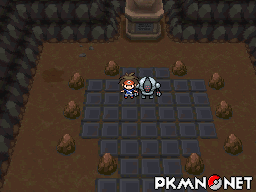 After capturing Regirock, Regice and Registeel, take all of them to the basement of Twist Mountain and Regigigas will awaken. After defeating the Elite Four, head to the Dreamyard where will you meet Latios in Black 2 and Latias in White 2. 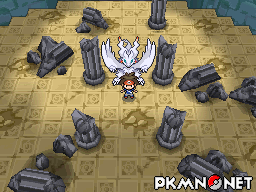 After defeating the Elite Four travel to the Cave of Being where you and Professor Juniper will see Uxie, Mesprit and Azelf disperse. Uxie can then be found in Nacrene City outside the Museum. After defeating the Elite Four travel to the Cave of Being where you and Professor Juniper will see Uxie, Mesprit and Azelf disperse. Mesprit can then be found on top of the Celestial Tower. After defeating the Elite Four travel to the Cave of Being where you and Professor Juniper will see Uxie, Mesprit and Azelf disperse. 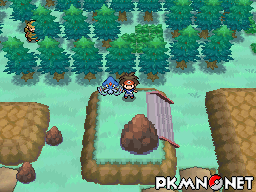 Azelf can then be found on Route 23 (Unova). 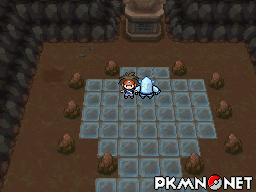 When initially travelling through Reversal Mountain, Bianca will point out a mysterious empty cave. After finding the ??? 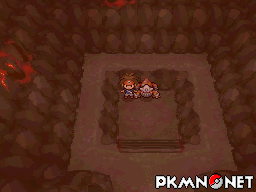 on Route 18 (Unova), take it back to the cave and Heatran will appear. On the outskirts of Lentimas Town you can complete a puzzle to find the Lunar Wing. 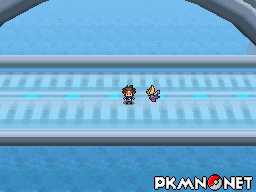 Take this to Marvelous Bridge where Cresselia will appear. Ela358102 on Sun 28 Oct 2012 16:54:07 UTC. The Strange house is like a maze, at first it's hard to not get lost in it. And what's with that girl that appears then vanishes? I think its kind of creepy. Cresselia on Mon 25 Feb 2013 01:04:52 UTC. Ninja001 on Mon 06 May 2013 14:31:20 UTC. I agree it is kinda creepy and i wonder what happended to abra? QuinB on Thu 09 May 2013 13:04:17 UTC. Guest on Wed 09 Sep 2015 21:40:40 UTC. Guest on Tue 03 Nov 2015 15:30:01 UTC. Guest on Fri 29 Apr 2016 05:15:09 UTC. Page generated with 93 queries, excitingly.